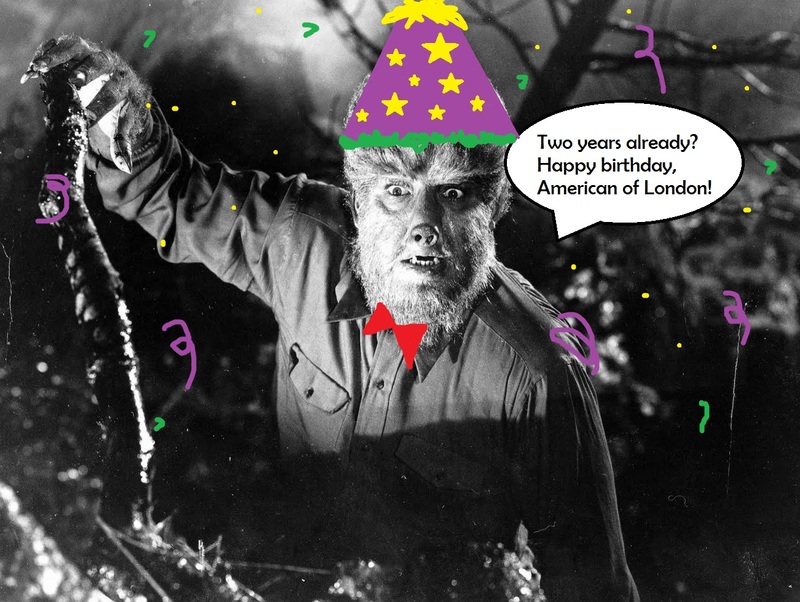 American of London’s (happy) second birthday! Shame I wasn’t an artist, eh? I received one of those funky emails from WordPress a few days ago telling me that this here little blog turned two. Blog birthday! But I count the day this baby started as the day I first posted on American of London on 27 of September, 2013. I wrote a particularly whiny post about being American in a strange place that was filled with plenty of people who had some fantastic prejudices against my home country. Well, two years later and I still haven’t stopped moaning (never will, either). To celebrate this happy day, American of London is no longer americanoflondon.wordpress.com but officially americanoflondon.com – I’ve bought my domain name! Thank you to all of you grand fellows and ladies who stick around and read… or those of you who just like the post to get more visitors. I appreciate you too. But a special thanks to those who have been reading since this was strictly a music blog for my masters program. Those were some dark days while I explored my style of writing and attempted to hone in ideas for posts. I’ve had many different blogs throughout the years to varying degrees of success, but none have been as fun as this baby has. I never would have thought I would be writing about comics and horror movies as well. Two things I would have never dreamed of doing when this project first started. But two years later and still I’m walking with Lon Chaney Jr and the Queen. Thank you much to my readers, and happy birthday, American of London!